Julie James has devoted the 14 years to mastering SomaVeda Integrated Traditional Therapies®, Thai Yoga, Native American Medicine and Ceremony, Ayurveda, Yoga Therapy, Holistic Health, Natural Medicine, Holistic Gynecology and Women’s fertility Issues. She has completed over 7,100 hours of extensive training and education including clinical practice. She has obtained Beginner, Intermediate and Advanced Practitioner Certifications in SomaVeda® Thai Yoga Therapy and has personally apprenticed under Aachan, Dr. Anthony B. James DNM(C), ND (Traditional), MD(AM). She is also a Director and co-founder of the Native American Indigenous Church Inc. (NAIC), Julie’s dad Fred is an enrolled Sac and Fox Sioux Tribal Nation member. 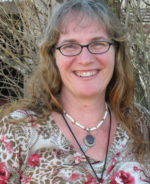 Julie has additionally received Certified Teacher in SomaVeda® Thai Yoga Therapy and Ayurveda. Julie graduated with honors the SomaVeda Institute of Natural Health, Holistic Health Provider Ayurveda Program in September 2007. Julie Graduated with Honors the SomaVeda College of Natural Medicine, Doctor of Natural Medicine Ayurveda (ND) in March of 2011 with over 7,100 clock hours in class and clinic.